‘VINN goes Spain’ that was the motto for VINN, recently. 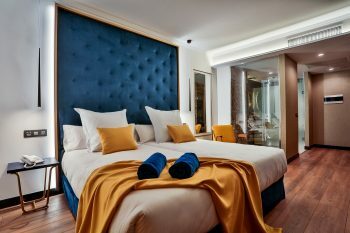 For example, in January, we had the opportunity to technically accompany the whole renovation of the 97 rooms of the Design Plus BEX Hotel in Las Palmas de Gran Canaria and to provide equipment. In all rooms the Otrum Enterprise TV system with 43 inch LG TV and Chromecast were installed. In this included are functions like room service call, marketing module, online shopping solution as well as standard services like WakeUp, hotel info, ViewBill, and Screenshare. VINN Phone System, which is also used in the hotel, brings IP telephony to every room and other areas of the building. 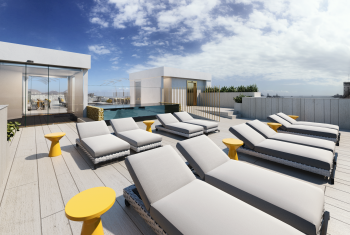 The Design Plus BEX Hotel in Gran Canaria, that sticks out because of its extraordinary style, was reopened on February 5th 2018 after a complete renovation. Most modernly equipped rooms and elegant furnishing elements in the lobby and restaurant and the fantastic rooftop bad make the hotel a very special place – for holidaymakers and business travellers alike. 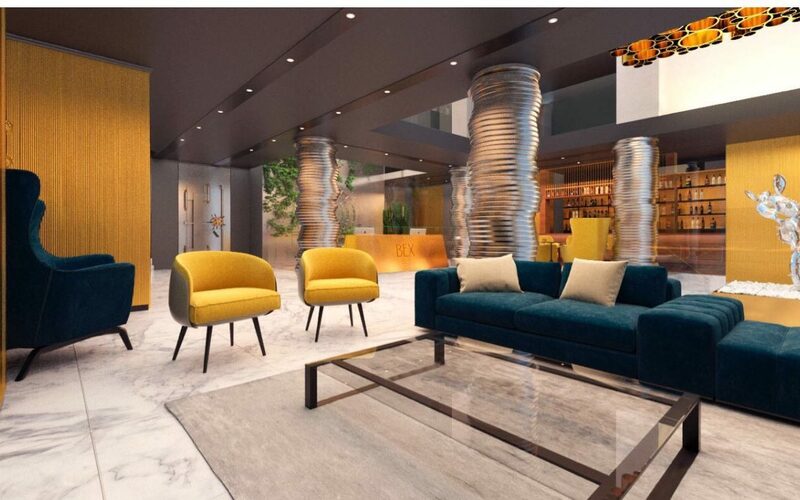 The new hotel brand of the FTI Meeting Point Hotel Management Company ‘Design Plus’ was recently presented on the travelling fair Fitur in Madrid as the new brand. 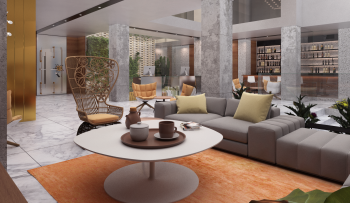 Beside Labranda Hotels & Resorts with roughly 50 buildings, ‘Design Plus’ is intended to appeal to guests who are looking for trendy design, exclusive culinary delights, excellent service as well as a combination of city and beach feeling. VINN wishes good luck for the development of this beautiful house.